Last week we went thru a demonstration of gesture technology for kiosk for use by handicapped users. People unable to move their arms. People unable to speak. People with ALS, Multiple Sclerosis, Spinal Cord Injury, Parkinsons, Cerebral Palsy and even some cases of Arthritis. Furthermore, some people may not be able to use voice either, or even if they could, there may be noise or privacy concerns preventing use of voice. We had a YouTube video created for us which demonstrates 3 different ways in which a user can choose buttons on a kiosk screen in a totally hands-free and voice-free fashion via use of head motion and/or smiling. Head pointing and dwell clicking. Head pointing and smile clicking. 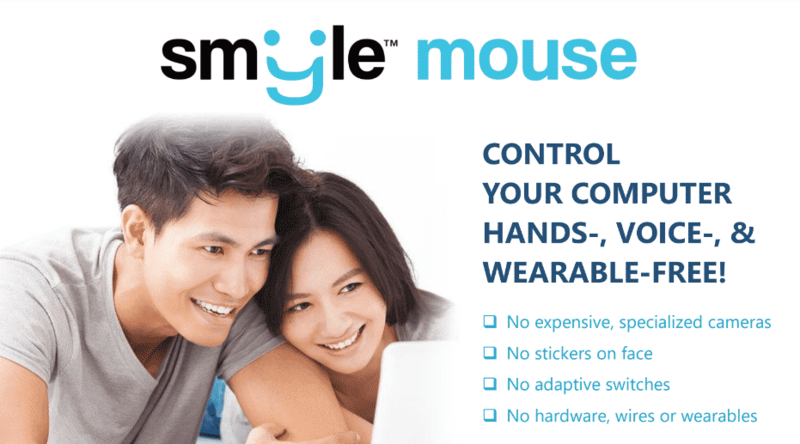 Here is Smyle Mouse – Product Info – 071618 brochure. For more information email Uday at Percept-D here.